The product is currently selling on Priceline Pharmacy. No price comparison can be made as the product is not offered by competing chemist/pharmacy. The current price is $15.00 (60 %) more expensive than previous price of $24.99 recorded on 31 Jul 2018. The price is $15.00 (60 %) more than the historical cheapest price of $24.99 recorded on 31 Jul 2018. 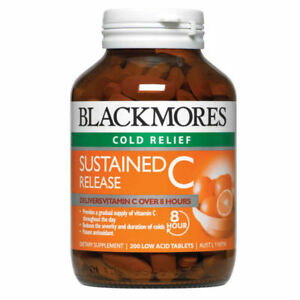 You may want to consider similar and cheaper product BLACKMORES SUSTAINED C RELEASE 200 TABLETS COLD RELIEF ANTIOXIDANT 8 HOUR RELIEF can be found at ebay Australia at $31.44.